Lock in a great price for Hotel Vecchia Oliviera – rated 9.2 by recent guests! We got a corner room and the views of the valley were gorgeous. The staff was very friendly. The breakfast was a good continental with meats & cheeses and pastries. American coffee was a plus. Santo was just a wonderful, attentive hotel keeper. Each morning there was a table set for us for breakfast. Reservations made for dinner, and he set up an afternoon wine tasting and tour at the last moment. Just a very sweet man and made our stay extraordinary! Fantastic location with superb view on the area and with a nice swimming pool for the kids ! Fabulous property with a very attentive staff. Sandro, the owner, is a sweetheart and offers great suggestions of where to visit/eat. The view is stunning! The location was perfect as was the view. The staff were wonderful. We could not have had a better time staying at Hotel Vecchia Oliviera. I would recommend this property and will stay here again next year. This hotel was an absolutely amazing place to stay and in an amazing location. 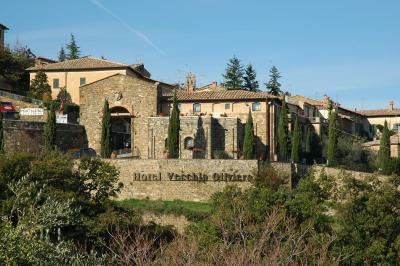 It is a beautiful hotel with an amazing staff and is at the edge of the wonderful little Tuscan village of Montalcino. There are many great shops and restaurants as well as many sites to see all within walking distance of the hotel. 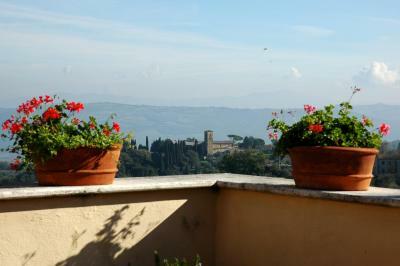 The views from the several windows in our room were simply stunning over looking rolling hills with vineyards. The room gave a feeling of being in a castle. Sandro ( I hope I spelled that correctly) who runs the hotel is fantastic and was so helpful. He even prepared breakfast for us early one day and was a joy to speak with. We didn't want to leave and hope to go back some day. Thank you Sandro and Hotel Vecchia Oliviera! Great location, friendly staff, excellent view, comfortable rooms. Unbeatable location. Their private parking lot is extremely convenient. Good cappuccino and pastries and fresh fruit for breakfast were much appreciated. Hotel Vecchia Oliviera This rating is a reflection of how the property compares to the industry standard when it comes to price, facilities and services available. It's based on a self-evaluation by the property. Use this rating to help choose your stay! 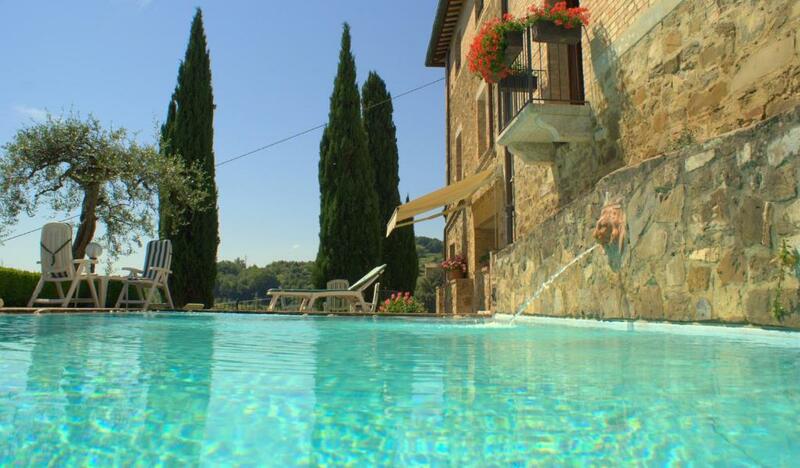 Offering an outdoor pool, garden and terrace, Hotel Vecchia Oliviera is located a 2-minute walk from the center of Montalcino. Free Wi-Fi access is available throughout. Air-conditioned rooms here come equipped with wooden furnishings, a mini-bar and TV. The private bathroom includes a hairdryer and free toiletries. A sweet and savory buffet breakfast is provided daily. 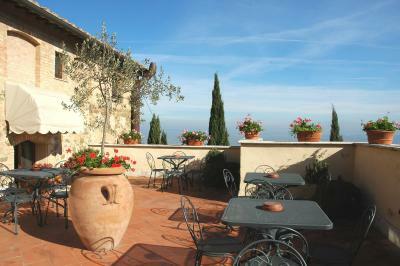 Hotel Vecchia Oliviera provides free private parking on site, while San Quirico d'Orcia is a 15-minute drive away. Siena is 25 mi away. 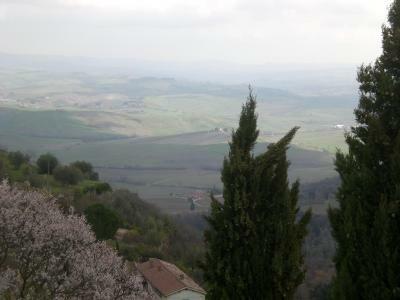 This property also has one of the top-rated locations in Montalcino! Guests are happier about it compared to other properties in the area. When would you like to stay at Hotel Vecchia Oliviera? House Rules Hotel Vecchia Oliviera takes special requests – add in the next step! ATM card Hotel Vecchia Oliviera accepts these cards and reserves the right to temporarily hold an amount prior to arrival. Hotel Vecchia Oliviera accepts these cards and reserves the right to temporarily hold an amount prior to arrival. Please inform Hotel Vecchia Oliviera of your expected arrival time in advance. You can use the Special Requests box when booking, or contact the property directly using the contact details in your confirmation. Only thing we didn’t like was the shower. It was uncomfortable the way it’s been built. Even the window curtain into the shower wasn’t good. Great location, great breakfast, spotless clean, private parking spot. We really enjoyed our staying in this property. Room was a bit warm, could not really adjust the radiator, but we handled by opening a window. Nothing. The Hotel is right as you enter town, so be prepared to do some walking. 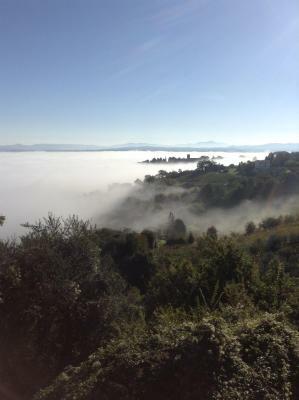 But this is part of the fun and health benefits of Montalcino! Nice quiet room (9), great location on the edge the centro, good breakfast. We didn't use the pool or the garden but they looked tempting. Friendly and helpful reception. Parking was just next door down the hill in a secure area. Aircon directly on to the bed, froze all night. Very nice people. Great view. Nice pool to start the day with or cool of in at the end of the day. Perfect location just outside the wall of Montalcino, quiet, with a 5 mins walk into the centre, and a convenient hotel parking. Staff helped with reservations for a spa, information about the Via Francigena, recommended restaurants, etc. No kettle in the rooms but a teapot was always ready on request. I would say room rate compared to market prices. Waited for me until later than normal times to do checkin, very kind!!!! !